There is one main turning point in everyone's life that truly defines who they are, and basically splits their lives in half. There is you before you had a garbage disposal, and there is you after you have a garbage disposal. 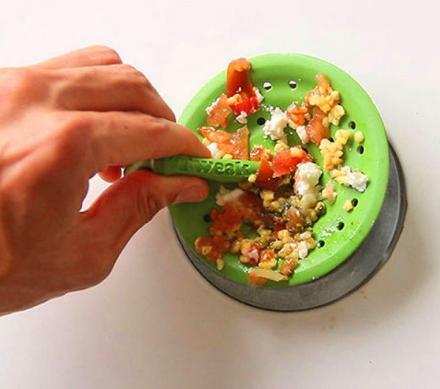 For those that are still hustling their weay through life without a garbage disposal, you can take solace in the fact that there are people still innovating for you. 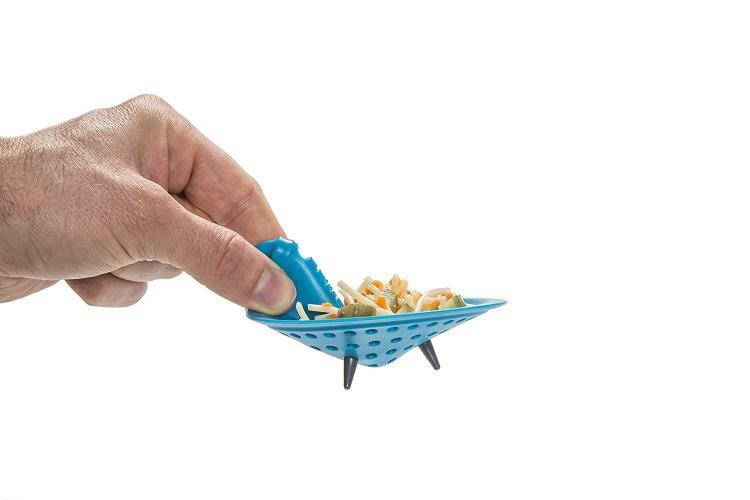 The Tweak Strainer is a device that not only keeps the dirty wet food from clogging your drain, but also allows you to empty it without even getting your hands dirty. 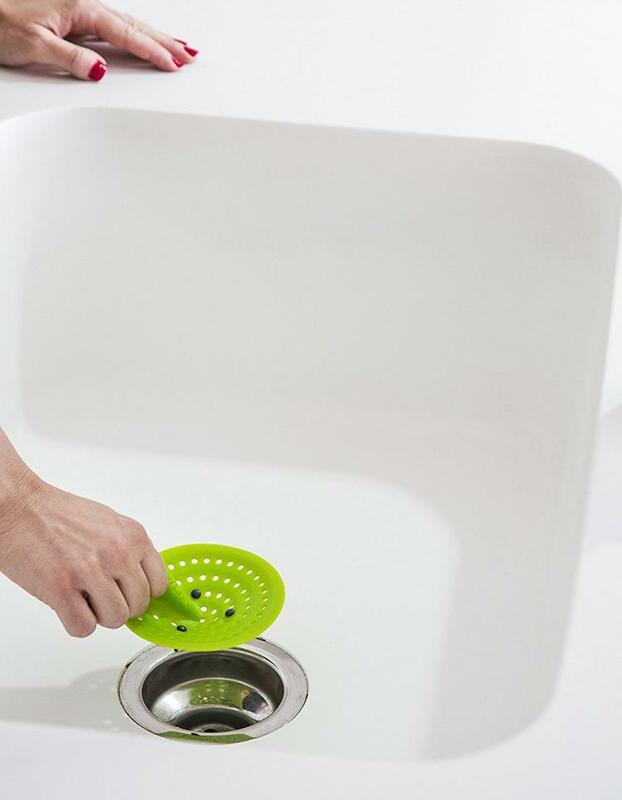 To use the Tweak Strainer, simply place it over your drain like you would any other drain strainer. 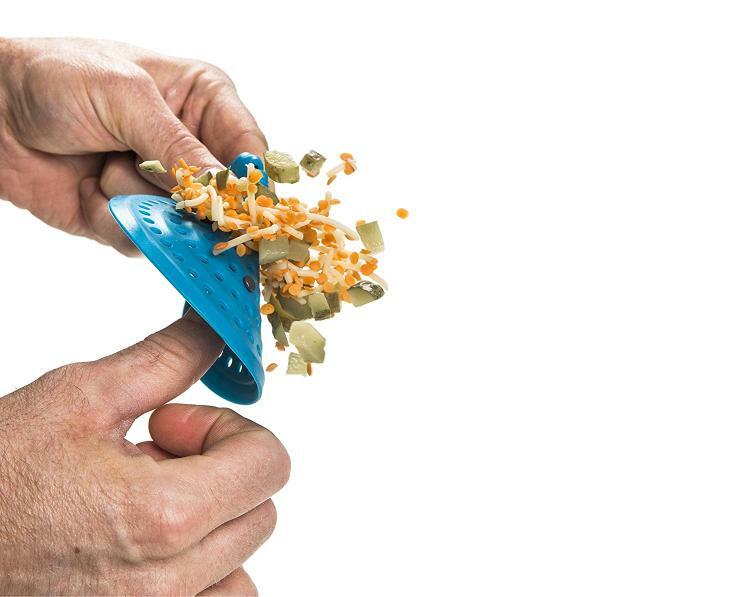 It will keep all the crap you dump from your dirty dishes from going down your drain, while still keeping the water flowing down. 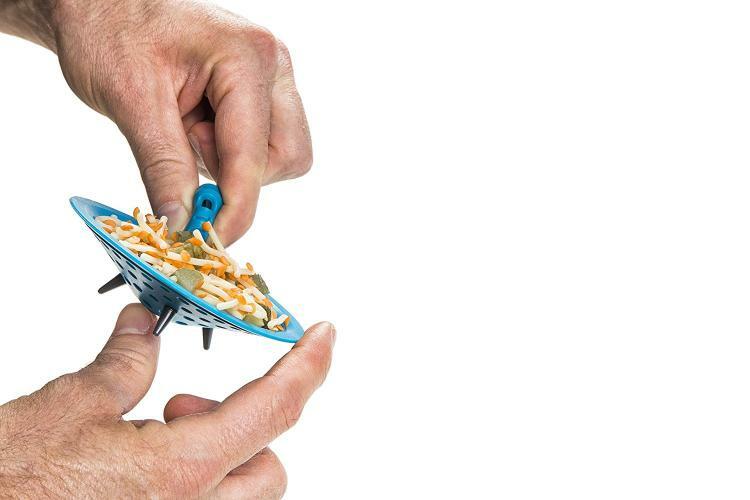 When the strainer becomes full you can easily dispose of it by simply pinching the tabs on the side of it, bring it over to your garbage can, and flip it to invert it so that all the crap falls out of it and into the garbage. 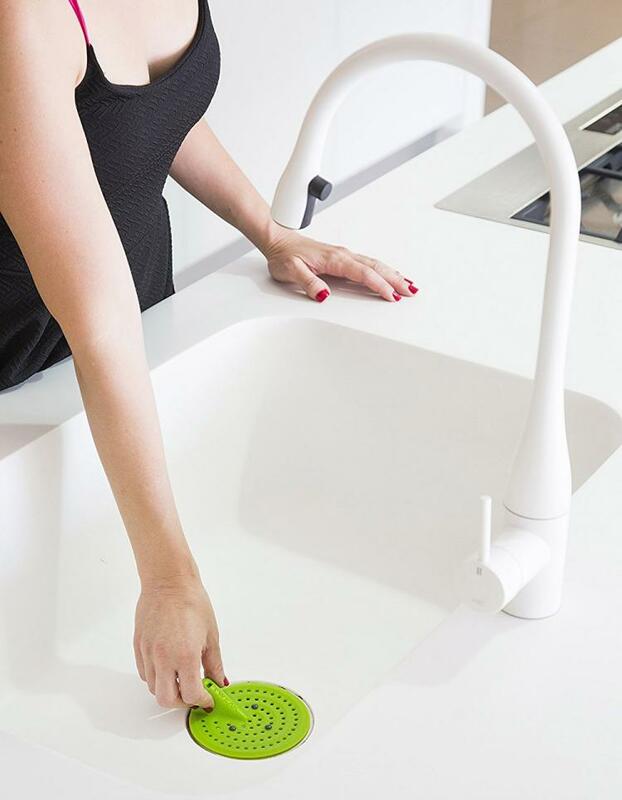 Then just rinse it off and place it back over your drain. 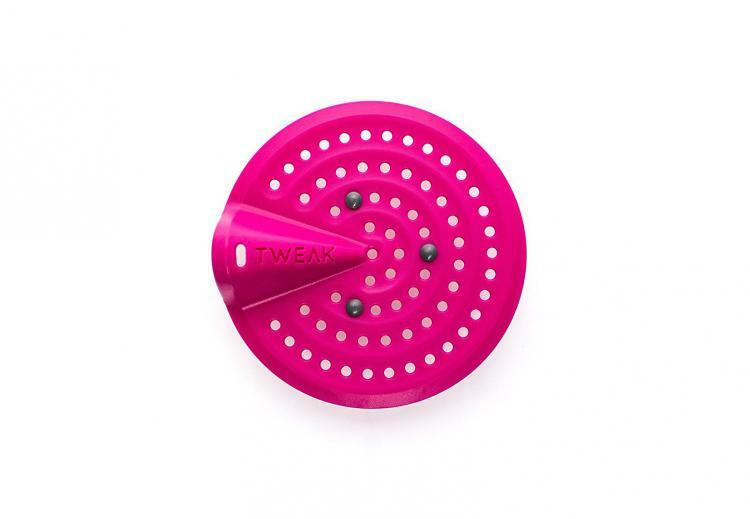 The Tweak sink strainer is made from high-quality flexible silicone, is dishwasher safe, is completely stain resistant, and is super soft so it won't scratch your sink like a stainless steel one might do. 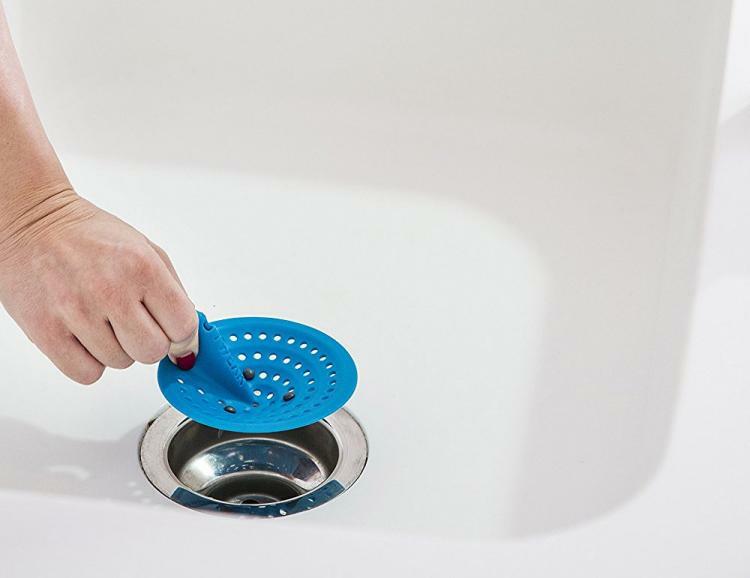 The Tweak strainer is available in a few different colors to choose from, and fits most standard sized drains (up to 4.3 inches in diameter). 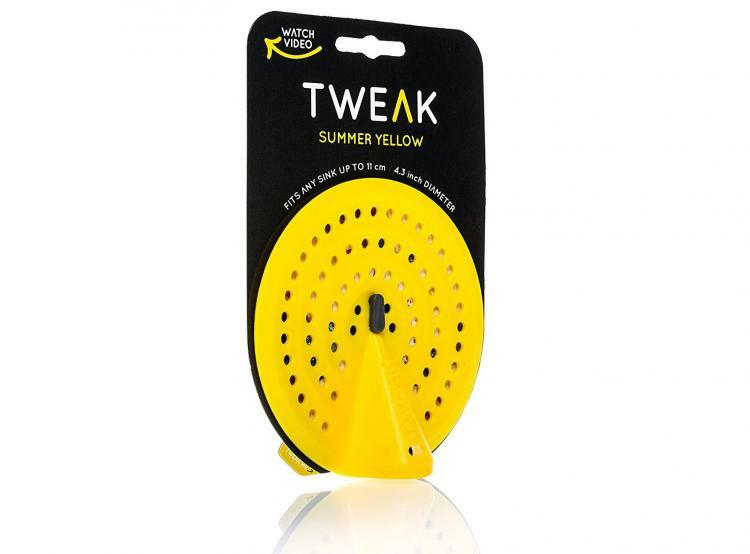 Check out the Tweak drain strainer in action via the video below.